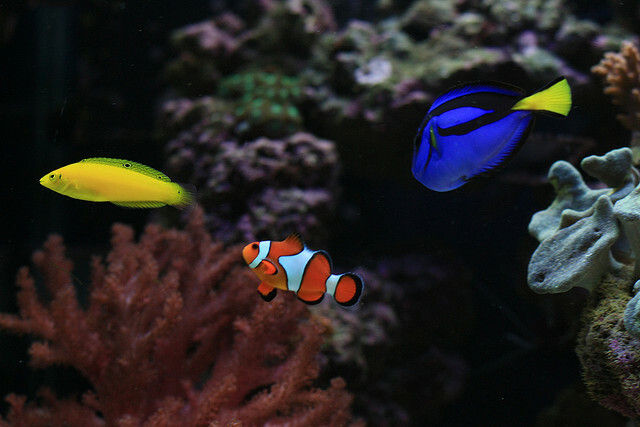 Before buying a new aquarium or fish tank, there are a few key factors to research and consider. 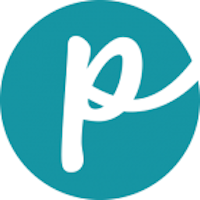 Read this comprehensive guide from Petful. Maintaining a fish aquarium can bring such fun aspects to your life. I’m not saying this only because I’m an aquarium geek, but because it’s true. It’s a common disbelief that aquarium caretakers are boring and geeky. I personally know all realms of people who had aquariums and enjoy every second of it. I decided to write this help guide for those looking to setup a fish tank. I plan to leave out all the fancy jargon aquarium talk and write a “how to” guide for a beginner aquarium setup from start to finish. I also want to take into account that most people with aquarium fish drop this hobby within the first year of trying it out. I believe the reason for that is lack of knowledge and setup missteps. 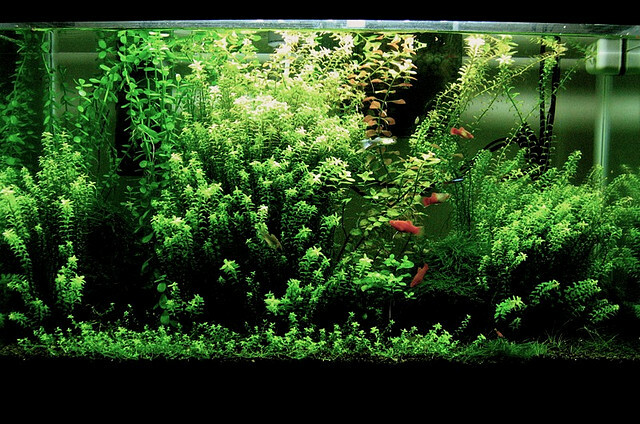 I will start from square 1 on figuring out a good-suited aquarium and go all the way to maintaining the tank on your own. 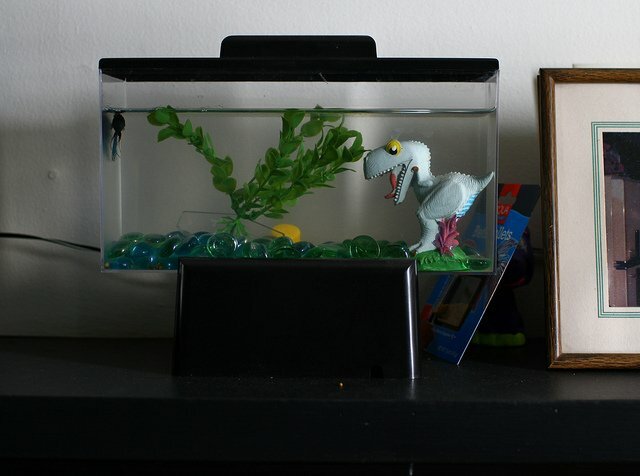 I’ve learned that without some helpful details, fish aquariums fail pretty easily. That’s why it’s important to do a little research first. The first thing to think about is what aquarium or fish tank do you want. For total beginners, I always advise some crucial variables to be looked at. The environment you have set aside or the tank is most important. How much room do you have to work with, and how much weight can your floor withstand? If you live in an apartment building on the 16th floor, you’re going to have to watch how large you go. Water weighs around 8 pounds per gallon and should be accounted for. This is more of a scary thought that most beginners don’t have to worry about. The main reason is very large tanks are the only the ones you should worry about and beginners don’t buy large tanks. Most beginners start small with tanks in the 30-75 gallon range, and that’s perfect. I don’t advise buying an aquarium smaller than 30 gallons. The smaller the aquarium, the more work needed to keep the water clean. Think of it as a ratio. What you need is clean water versus fish waste and uneaten food. The larger the ratio of water compared to waste, the cleaner the tank is. In the aquarist hobby, anything below a 30-gallon aquarium isn’t even worth talking about (more or less). I’m just being honest here, because I want things to be clear cut for you. Past the weight, size and environment, choosing the tank is entirely up to you. The wide selection of tanks will blow you away with what you have to choose from. There are tanks that curl in the front, aquariums in “L” shapes, super tall tanks, or super long tanks, and even tanks that are acrylic. Oh boy! Now you’re really scratching your head. If I were to give some honest advice on your choices, I would just get a standard size that they make in bulk. These are cheaper and most popular for a reason: They are the standard sizes of aquariums — 55-, 75- and 120-gallon tanks. However, in the wrong situation buying used can set you backwards. I know this first-hand because I’ve bought aquariums that leaked water because they turned out to be sun-cracked. Are you ready for a possible setback or some major cleaning of used equipment? Or do you just want to go with brand new? I buy used equipment because I know what to expect with used tanks. Aquariums with leaks are the most common I’ve seen. Water-stained glass, drills holed into glass and more — for the most part, they are pretty easy fixes. Do-it-yourself leak fixes work well too, but that’s a whole other topic there. In Part 1 of this guide, we discussed choosing the right-size tank for a beginner. Now we discuss beginner aquarium setup. The most common mistake beginners make is to buy their aquarium, fill it up, and just add fish. This is how Mother Nature “works” in our minds, right? However, this will actually kill most fish that aren’t super hardy and strong. Without getting too scientific, what a new aquarium setup needs is “beneficial bacteria.” These are a good bacteria that help feed on necessary toxins in the water that are harmful to fish. These bacteria take time to grow in your tank of water, or can be added from a different tank. I’ve spent countless hours testing water and researching different specs but wish I would have just kept things more simple. That’s what I do now. Before buying any fish, make sure you have that good bacteria from another aquarium that is already set up. The bacteria grow on decorations and weeds but build up very heavily in the filter media (filter pads). Having the store cut an older tank’s filter pad in half and giving it to you works perfectly fine. Keep the filter in a plastic baggie so it continues to stay wet. This might seem gross, but it’s actually bypassing a scientific cycle — and is super smart to do. Don’t rush into buying your fish quite yet. Add that piece of filter you got from the fish store to your filter setup. Let’s give that beneficial bacteria some time to naturally work. Just set it next to your filter or use only the “used” piece (not a big deal right now). Decorating your tank is one of the funnest aspects to this hobby. There is such a wide range of plants and decor you can use. There really isn’t a wrong way to decorate your tank, either. The only aspect I can preach about is the natural habitat of what your specific fish might need. Example: Some species of fish are insecure without certain decorations to hide behind or inside. Research your fish and make sure you suit their needs before your needs. Some plants are also known to be sharp and hazardous to certain fish, but that will come with more exotic and fancy breeds of fish. The argument of “gravel or sand versus no tank substrate” lingers. All I have to say is that I personally do not use any tank substrate or liners. I find this much easier to keep my tanks cleaner. I do have multiple tanks, though, so reducing cleaning time is a big deal. Sand and gravel are awesome aspects of a tank and add cosmetic value along with natural value if you have live plants. The only downfall is maintenance to keep it clean. Fish waste and uneaten food fall right into the bottom liner and sit and decay. If you don’t get rid of that decay fast, your oxygen levels start to drop very fast. You can see where this is going. 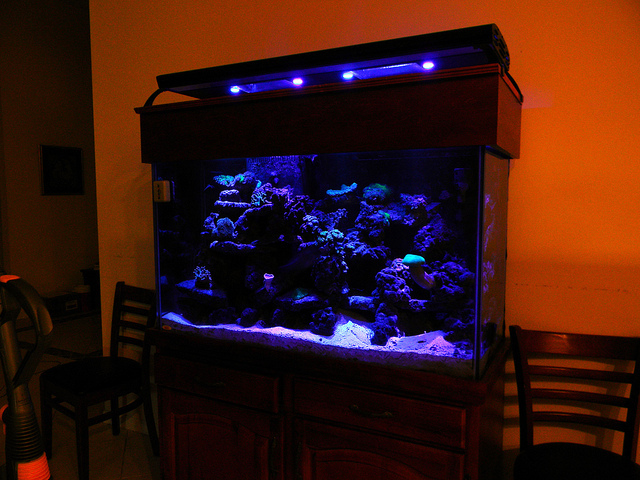 Your tank should have a light, and I advise it to be a natural sunlight style. They are cheap enough to where it’s almost a waste not to go ultraviolet (UV) style. This gives the fish the real aspect of sunlight that they deserve. Special LED lights look really cool and others do fancy tricks, but whatever you do, always make sure your fish are getting natural sunlight somehow (though not direct sunlight). Think of it this way, what if I told you that you’ll never get to see sunlight again? Understand my point now? Last but not least, figure out if your tank needs a heater. How you will know is whether your fish are tropical or not. Most likely you will need a heater because most of the popular aquarium fish aside from goldfish live in a tropical habitat. 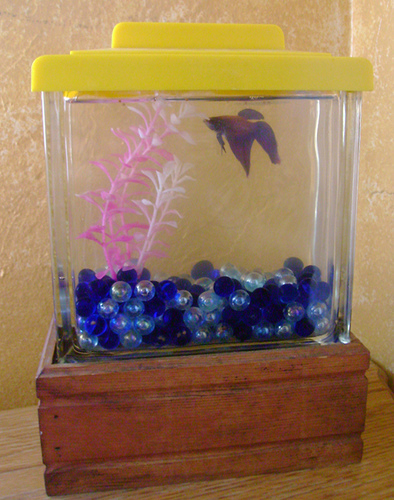 Even the Betta fish is a tropical fish, but people don’t use heaters because they are unaware. Research your fish types and figure out what temperature your water needs to be. There is an average for most tropical fish that are schooled together. Next, in Part 3 of this guide to beginner aquarium setup, we discuss the cool part: adding your fish for the first time! If you have been following this beginner’s guide to aquarium setup, your fish tank has been hanging in there all by its lonesome — all decorated and ready for your new fish. Now let’s walk through the process of adding new fish. Buying your fish at the pet store is pretty basic stuff, and there really isn’t a good way of getting home other than holding the bag safely. When you get home, put the bag inside your aquarium. Have it so the bag of fish is still air-tight but the water in the bag is sitting in your aquarium water. What this does is equalize the water temperature in the bag to the temperature of your tank. This is a gradual change and more safe for the fish this way. Let the bag sit for a half hour to make sure the temps equalize. Now that the water temp is good, open the top of the bag and grab a tablespoon (new plastic one if possible). What we want to do is add a small amount of water from your aquarium to the bag of fish water. Add a small amount of new water to your bag and fish every 10 minutes or so. As you add the water from your aquarium, it gives the new fish some time to get used to that different water. Once you have added a decent amount of your aquarium water to the fish’s water, you are safe to let the fish go. The issue of letting “that water” from the pet store into your clean aquarium is also a variable you will want to watch. Once your clean tank is thriving and healthy, you never know what adding different water from a pet store tank could do; there are lots of parasites and such to watch for. In the case of letting your first fish go from the bag, it’s fine to just dump the bag of water with it. For adding new fish after that, though, I advise using a net to transfer them. Your fish tank should be up and running now. It’s a tough thing not to rush into putting your fish in, but it’s totally worth the wait for them to be safe. Your aquarium is going to need some general upkeep on a weekly basis. The fish have to give off waste, so it would be impossible to never have to remove that waste (unless you had live plants, dirt, etc). In our case, though, we need to remove that fish waste and uneaten food, or else the ammonia and nitrates level will rise. Let’s think of doing the water change and cleaning all in one job. Do this by using a gravel vacuum to clean the bottom of the tank while spitting the water into a bucket. Continue to clean the bottom of the tank until you have removed 30% of your tank water. We have now cleaned the tank and removed the water we needed to. Now just add new buckets of water with water conditioner added to it. Water conditioner is a basic product that makes your home faucet water safe for your fish. Once this is added to your water, it immediately takes effect. This ensures the water is safe for your fish. Your faucet water could in fact be fine for your fish, but some cities contain chlorine and other additives that are harmful to fish. Better safe than sorry. Having a fish aquarium will be a great addition to your life. You will find yourself researching new fish and animals that you could possibly add to your tank. You might also find yourself hanging out with other aquarium caretakers. It is quite an addictive hobby!